We shift our attention from a multi-disciplinary overview of competition and cooperation from an critical point of view to a specific discipline: Anthropology. As such, we shift WHAT we are analyzing but also HOW. This blog post will seek to unpack this week’s reading Cooperation and competition in social anthropology, compare it those of previous weeks, as well as highlight some key features. If I were to describe the article to someone who had never read it before, I would need five words: competition and cooperation can coexist. (…specifically in anthropology — if I had an extra 3). Molina et al. use a chronological approach to their analysis which mirrors the discipline itself. Starting from a primitive sense and working to today’s society, the authors examine the interplay of cooperation and competition that has, according to them, existed harmoniously for centuries. They examine a plethora of literature as their main method of analysis. It is interesting that the authors stress in the article that anthropologic research is different from other disciplines. This mirrors our discussions in class that each discipline has its own style of rhetoric, as well as mirrors the trend of the course — the previous articles taking a more critical stance on competition whereas this one suggests they can exist together. This article compared to Bateson, the other anthropologist, is much more formal in its approach. The point made by Apoorva , really underlines the juxtaposition, where she mentioned that in Molina et al. “competition is used for the purpose of a social hierarchy, and unlike how Bateson describes it, the two can exist together as it is a mutually beneficial relationship”. This article is much more objective than the others we have read so far; presenting facts over a personal opinion. We could conclude that the authors are not competing for a specific (seemingly personal) objective, rather they highlight certain facts. What I found most compelling about the article was the shift in history pointed out which really underpins competition today: the introduction of money and the subsequent capitalization of society. They point out that the strengthening of social norms is a major attribute to cooperation. I would argue that these values stem from capitalism and the value judgements individuals make on a daily basis. The Cost-Benefit-Analysis, i.e. evaluating the situation/interaction’s implicit and explicit costs and benefits, is essential to understanding individuals behaviour, and as such, coordination. I had learned about the Prisoner’s Dilemma and Collective Action Games in ECON221. 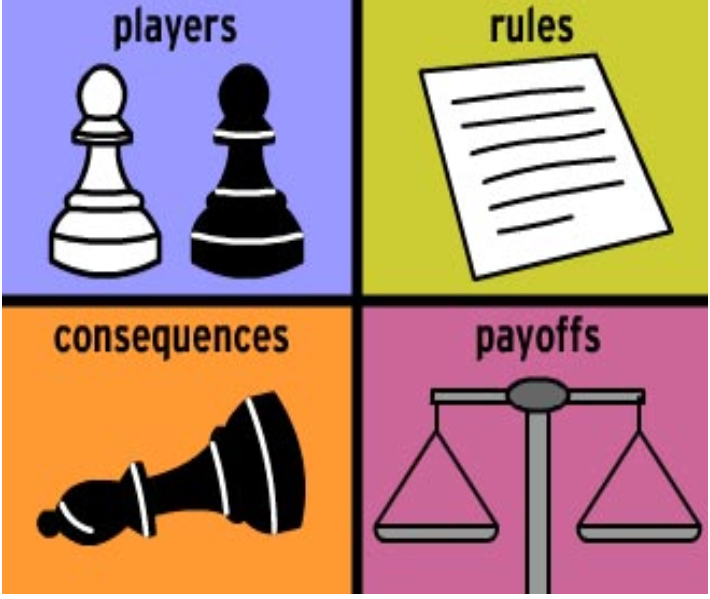 I will not go into detail about the Prisoner’s Dilemma as it is explained briefly in the article (and/or you can take a whole course about it!) but I found Collective Action Games to be particularly pertinent to the claims of the article. It denotes that people will participate (cooperate) if the benefits of the transaction are greater than the costs. The designer must be aware of this in the construction of the game; this is called the “participatory constraint”. So, I think Molina et al. connect this to their exploration of social cooperation. This is interesting to me because it combines psychological and sociological attributes to a more ‘mathematic’ scheme. I am thinking that this is the direction our analyses will take in the future: understanding the underlying values of individuals, just as we have been analyzing the underlying motives of the authors. Previous Do Cooperation and Competition Always Coexist?